The Panasonic Lumix LX100 is the latest in an exciting series of camera releases from Panasonic this year. The LX100 puts the large Four Thirds (that’s 4/3″ or 1.33″) sensor inside of a compact camera body that’s on roughly par with the Canon G16 line of cameras in terms of overall size. If you have used the very compact Lumix GM5 with the small 12-32mm kit lens, the LX100 is very close to it in size as well. The sensor resolution is a modest 12.8MP while the lens is an impressive 24-75mm equivalent with a bright f/1.7-2.8 aperture. Perhaps one of the more notable specs on the LX100 is the ability to capture 4K video at 3op or 24p frame rates when using SD cards with UHS-I U3 speed ratings. Additonally, 1080p HD video capture is available at 60fps for smooth motion or overcranked slow motion. Ergonomics are great with a generous hand grip for the right hand and all kinds of great feel for the rings, dials and buttons accessible on the camera’s exterior. The lens barrel features aperture and manual focus rings around the barrel for quick manual adjustments. An aspect ratio switch is also placed on top of the lens barrel, while a focus mode switch resides on the left side of the barrel. On top of the camera, you have a standard hot shoe, along with great dials for quick shutter speed and exposure compensation selections. A zoom rocker switch surrounds the shutter release, which the on/off power switch wraps around the rear of the shutter speed dial. A small filter button resides in the front-right corner of the top plate, which allows you to quick change the internal filter effects like Dynamic Mono, Toy Camera, Expressive and more. On the back of the camera, you have several more buttons for additional camera (some of which are programmable) and a dedicated video record button, along with a 3-inch 921k-dot res display and a 2.764M-dot electronic viewfinder. The EVF is so nice on such a compact camera. 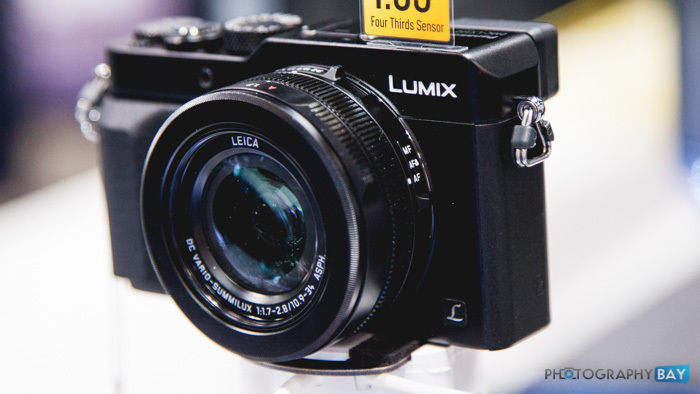 The autofocus is fast and responsive, as we have come to expect from Panasonic cameras. 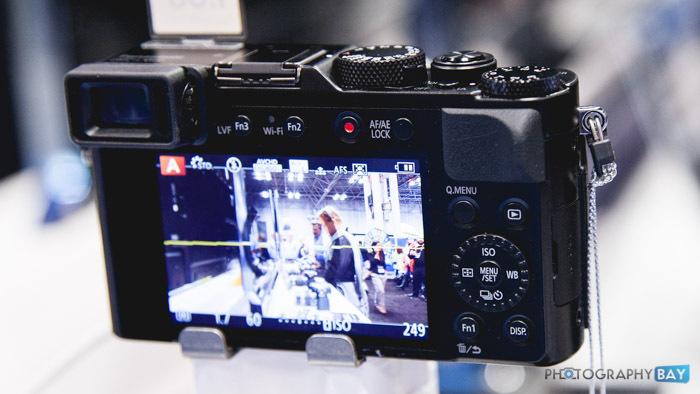 The LX100 can capture up to 11fps using the mechanical shutter or up to 40fps bursts with an electronic shutter. It also has built-in timelapse mode. 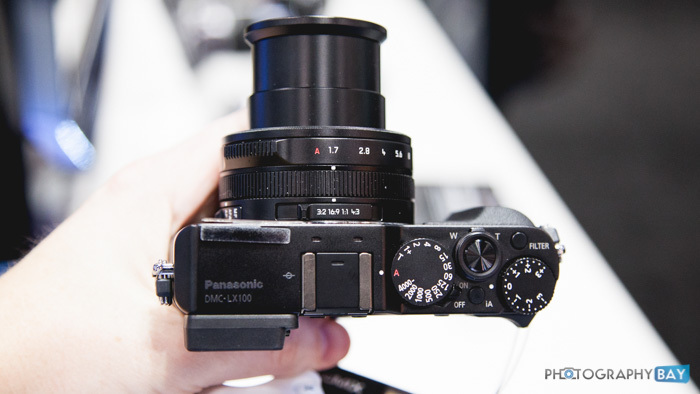 Panasonic also takes care to include an external flash with the LX100 since the camera doesn’t have a built-in flash. Panasonic still managed to make room for built-in WiFi and NFC for smartphone connectivity. 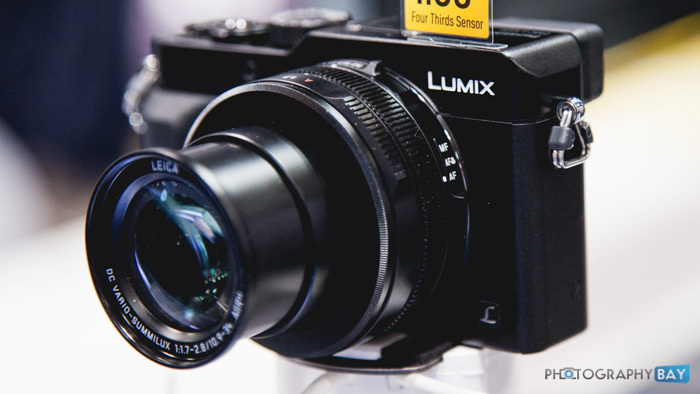 The Panasonic Lumix LX100 has all the signs of an excellent camera and may even end up grabbing some camera of the year awards when all is said and done for 2014. 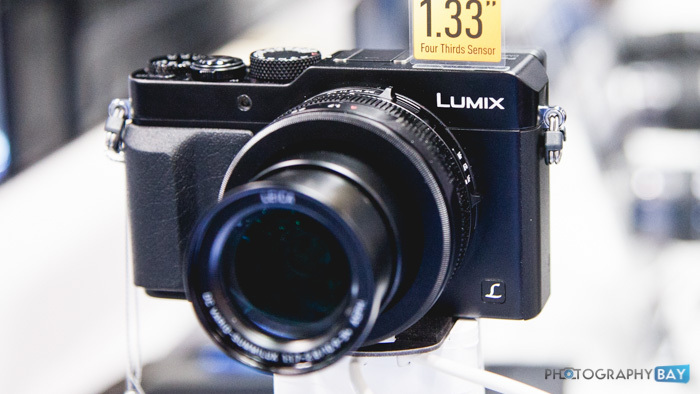 The LX100 is now shipping for $899. Check it out here at B&H Photo. This camera seem to have everything going for it except in looks. 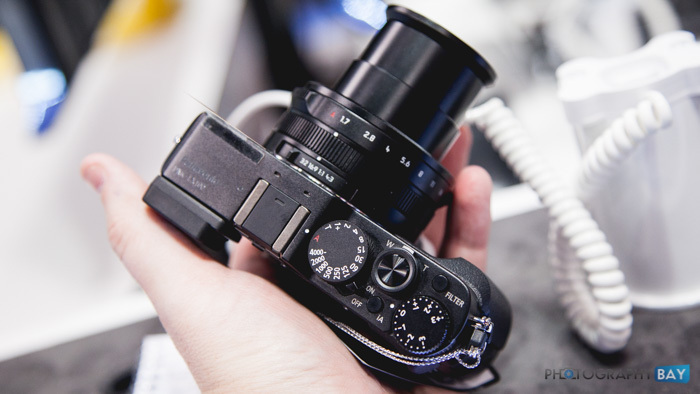 I reckon it would be a lot better in looks and ergonomics if it adopts a rounded corner profile in the style of the Leica M3/Fuji X100s. If Panasonic wants to sell more of its highly capable cameras, it should pay more attention to these qualities.